A small group of religious stones which are about half a mile from Marown Old Church (St Runius). They date from 400 to 700 A.D. and bear the sign of the Cross. 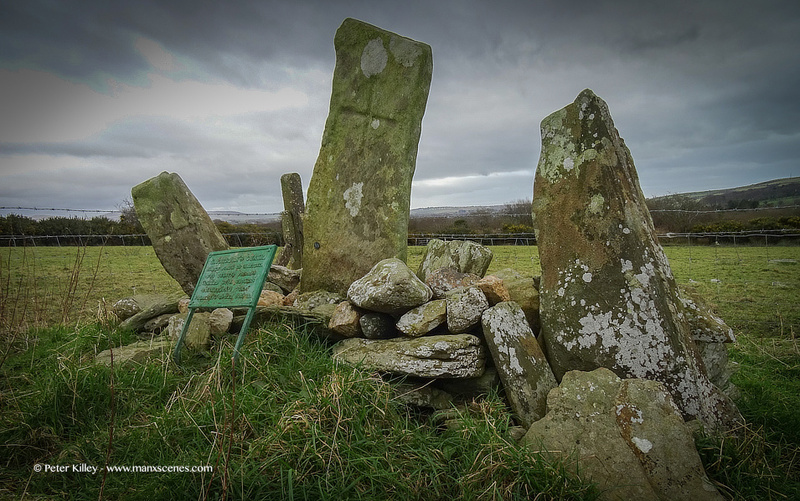 It is a typical memorial cairn of the Irish type. The stone setting usually marks a shrine at the burial place of an early Christian saint and no doubt became a preaching place and penitential station. More popular tradition states that it was from this spot that St. Patrick preached and consequently any person who sits in the ‘chair’ and rests his back against the incised Cross will never feel fatigue. 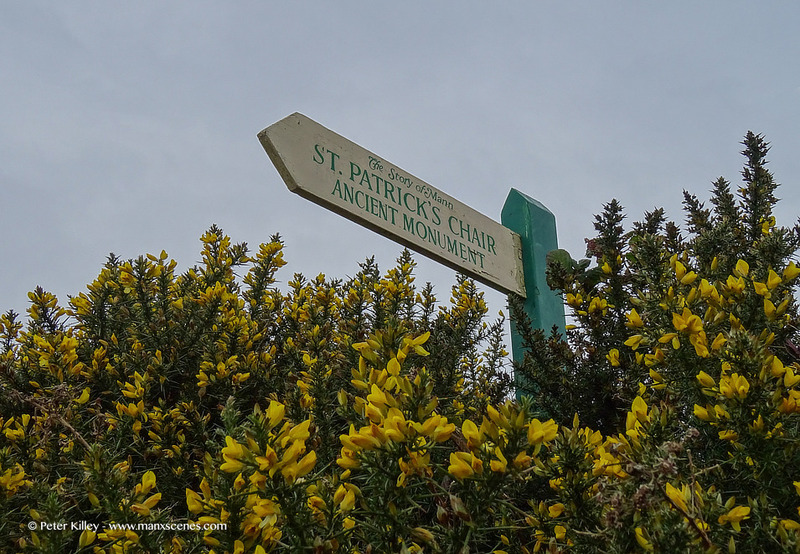 We often passed the sign to St Patrick’s chair, but never went to see it. Now I know what it looks like!